It’s that time of year again where the greenhouse starts to become a bit of a jungle with tomato vines clambering their way up and spilling out over the path. There’s the smell of tomatoes every time you walk through the door which is one of the best smells in the world. 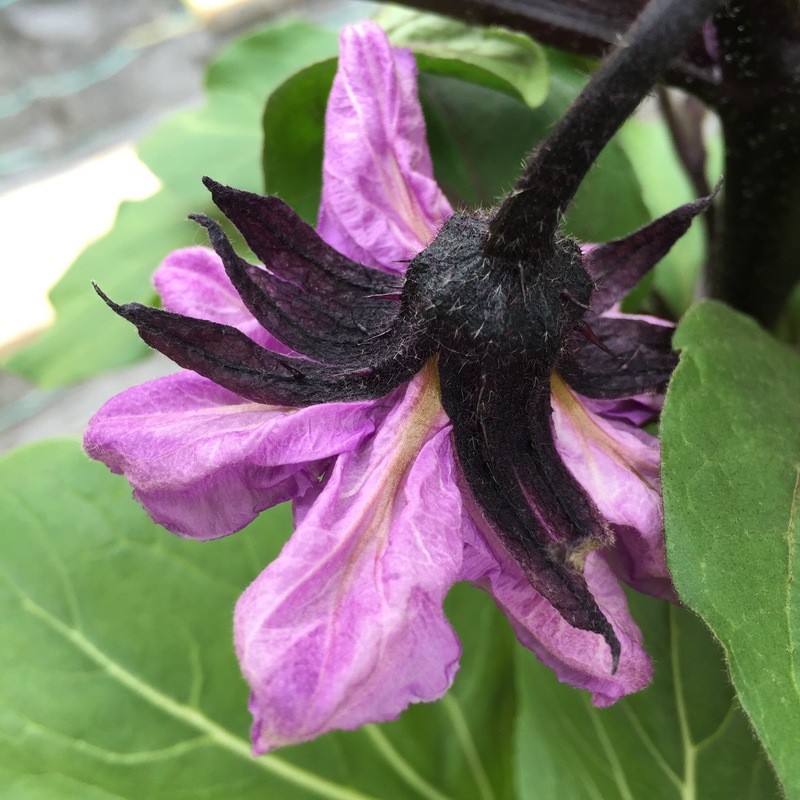 The cucumbers are starting to flower and the chillies have signs of flower buds. 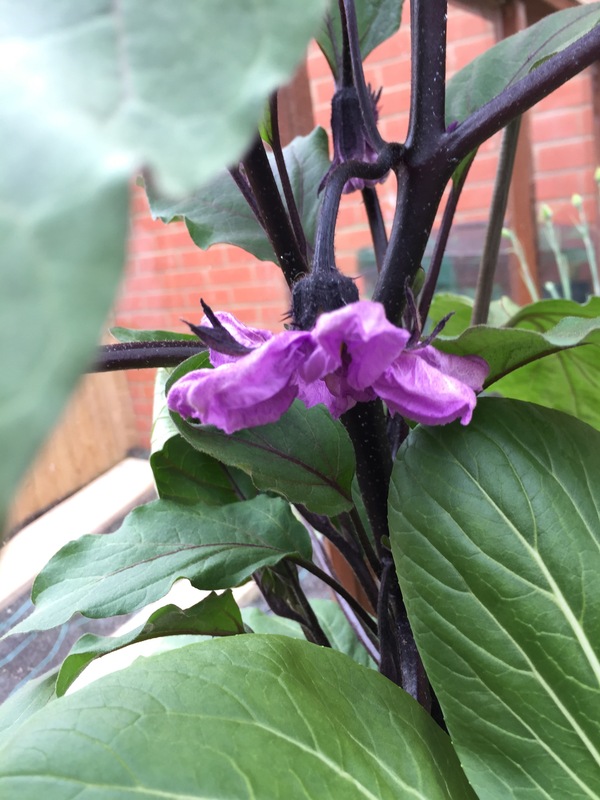 But something which I always find really exciting is when my aubergine plant starts to flower. 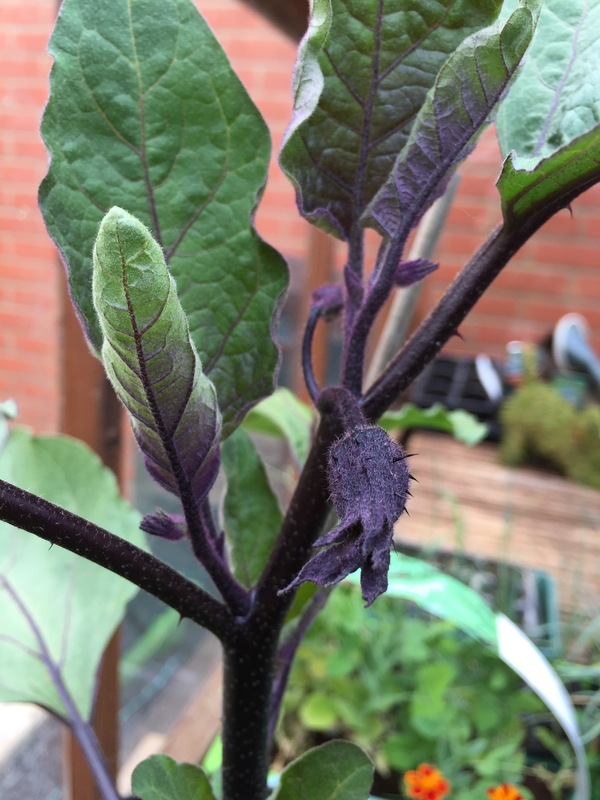 Last year I grew one aubergine plant in the greenhouse and one on the patio, i’d never grown these before so it was a bit of an experiment. 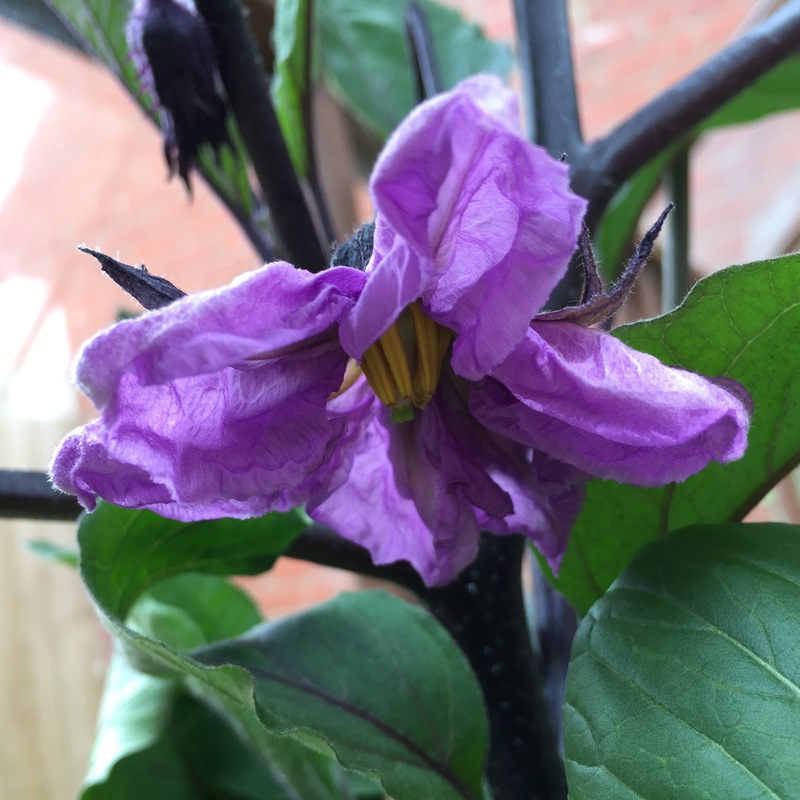 I only managed to harvest one aubergine from both plants and this one was from the greenhouse. So this year I’ve decided to just grow one in the greenhouse and see if it produces any more fruit than last years plant. So far it’s looking good, with plenty of buds and out of those a few have opened into beautiful purple flowers. I really love the flowers on this plant, they’re really structural and the colour is lovely against the dark green leaves and purple stems.